I decided on a career in psychology as a senior in high school when I took a one-semester psychology elective. Since then I have been devoted to untangling the mysteries of the human psyche and to witnessing the power of human connection for healing. 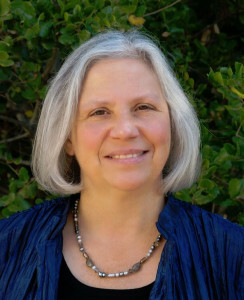 As a beginning therapist, I became captivated by the power of entering the internal world of my clients and accompanying them on their search for wholeness.I have practiced psychotherapy in outpatient clinic, inpatient residential and private practice settings and continue to learn and grow from the people who share their lives, joys and struggles with me. During graduate school I had the opportunity to teach introductory and advanced undergraduate psychology courses, which developed into an interest and commitment to teaching, training and supervision in the field of psychotherapy. My teaching in academic institutions, agencies and professional workshops has always been grounded in my own experience as a therapist. I enjoy sharing my acquired wisdom and I learn from the dialogue that occurs in my trainings and workshops. The specifics of my credentials are that I received my Ph.D. from an APA accredited clinical psychology program in 1986, after completing an APA accredited predoctoral internship at a Veterans Administration and university medical center consortium. I have been licensed as a psychologist in California since 1988 (PSY10707), being involved in psychotherapy, clinical supervision, teaching and training during that time. In addition to my private practice as a therapist and consultant, I have worked as a clinical director since 2000, providing oversight and leadership to behavioral health and social service programs including clinical training.